Can I just say that my “hostel” in Sorrento had me living the life. The number one reason for this was I was actually given a towel every morning. It’s the little things, oh the little things. 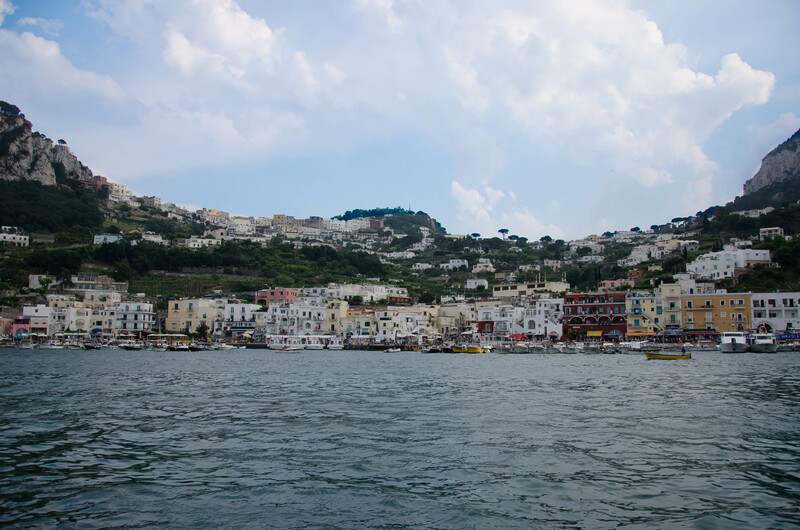 I chose to stay in Sorrento because a lot of the popular islands are very easy to get to by a conveniently placed harbour. 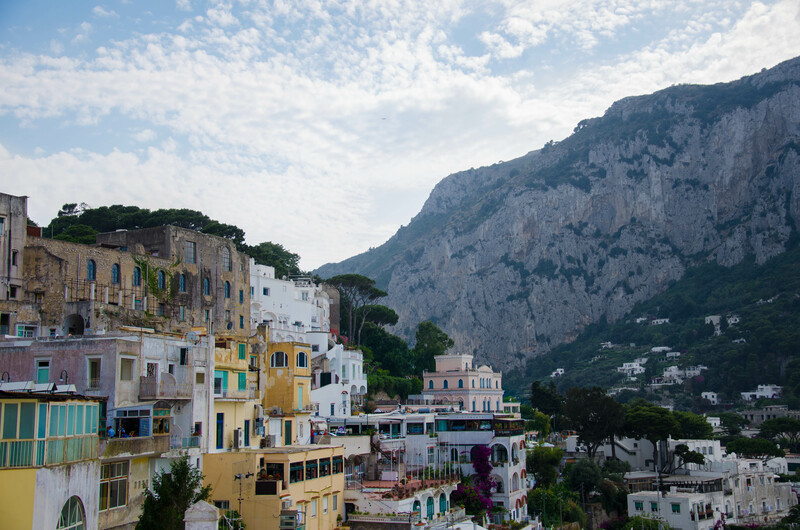 Capri was my main destination, but I discovered that the beauty of Sorrento was equal to Capri when I expected one to trump the other. That’s usually how it goes, the places that are less talked about end up having their own special charm. The first thing I noticed was the night life. Every night had that carnival feel. Performers lined the streets and restaurants were open until mid morning. I don’t know why I always seem to think that each place I show up to late at night is going to be dead and abandoned. Seeing this at 12am still caused me to release a huge sigh of relief. 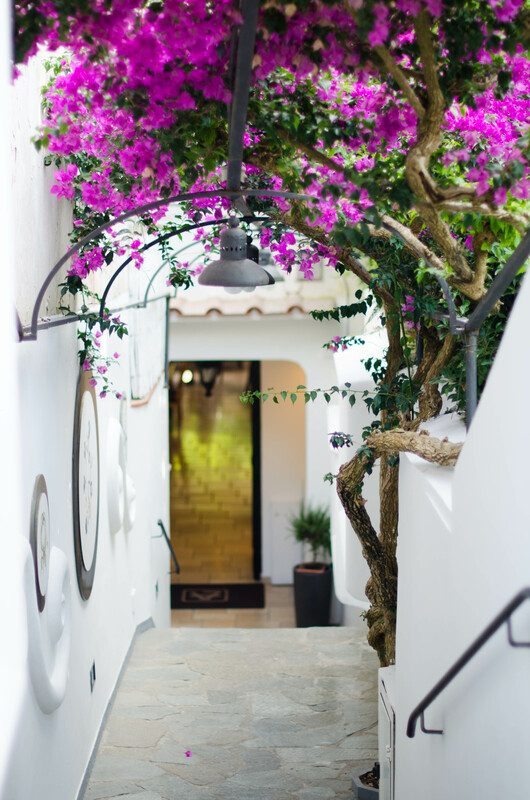 My time in Capri had its moments, although I’ve taken some tips for the next time I visit and if anyone is planning to go, listen up. 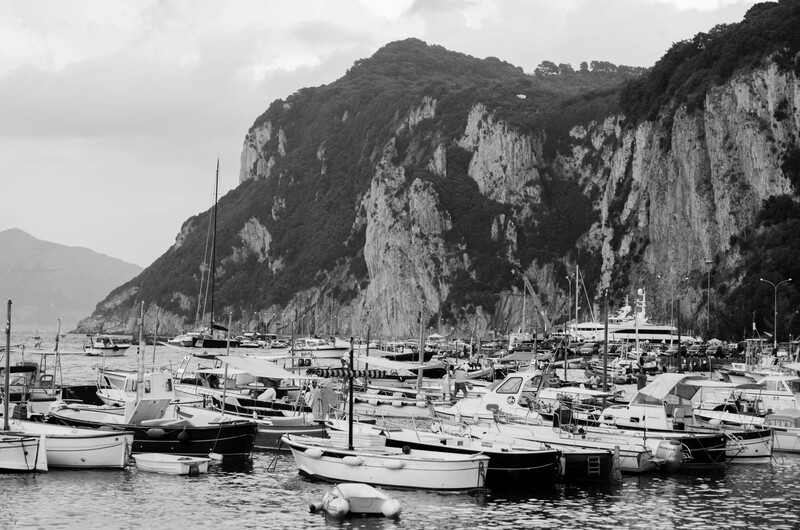 The trips they plan to the Blue Grotto are a tourist trap at its best. That’s the main attraction of Capri. 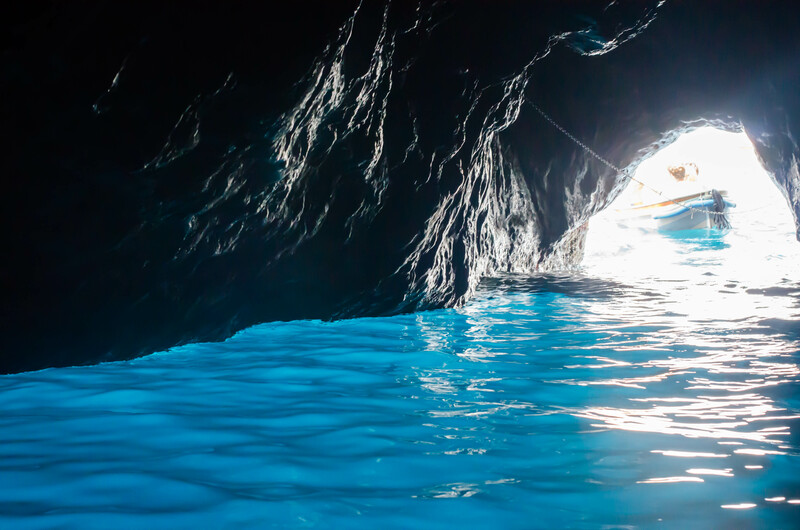 The Blue Grotto is a beautiful cave where the light hits the water in such a way that it glows a bright, florescent blue. There are swarms of boats taking in tourists like me who pay whatever they need to so they can have the experience. I did love it, only because I managed to once again imagine I was the only one there. Before we entered, the driver of my boat leaned over to point at the “NO SWIMMING” sign and told us that if we didn’t say a word, he would let us swim in the grotto. Then he quickly added it would cost 10 Euros. Yeah, right. Of course it does! But who’s ever going to say no to that? It was such an experience heading into the grotto. I was squished up like a sardine beside this girl I had never met and we laid on our backs in a tiny row boat to enter the cave. It takes a few minutes for your eyes to completely adjust, so the boat joined the others as we circled around for a while. It happens in literally the blink of an eye and suddenly the water is glowing a bright and sparkling turquoise blue. Almost like there are millions of little pool lights placed at the bottom. What makes it so surreal is that it’s a completely natural effect! I struggled to adjust the settings on my camera and capture even half of what I was seeing. I hadn’t put on my bathing suit before entering the cave so when it was my turn to swim, I jumped right in there with everything on. It was a really cool experience, watching your body glow completely blue under the ice cold water! Definitely a stand out moment and so amazing to see the crazy things that nature holds. What I hear people have done and what I wish I had thought of was heading to the grotto early in the morning before they send out the boats. People spend the morning swimming in there all on their own so it gives you a lot more time. But, that’s a lesson learned for next time. Learn to find your way around the ordinary. The flowers in Capri were exceptionally bright and beautiful which was one of my favourite traits. Oh, and the out of the blue moments keep happening. This time it wasn’t a man with budgies, but two waiters who just wanted a photo with me. My face says it all. 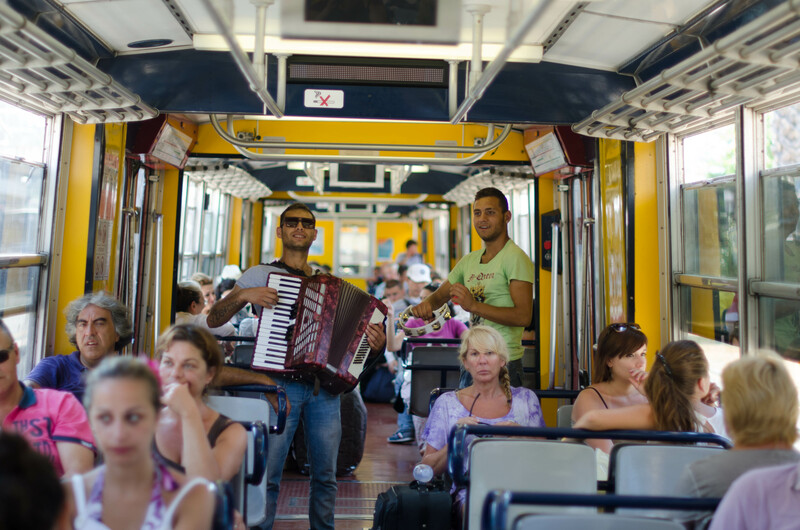 There were also eccentric accordion and tamborine players on the metro like this. My final day was spent on the beach with two Canadians I had met from Toronto. I knew we would hit it off the minute I met them and we shared a common ground of desperately having to do our laundry (backpacking life at its finest). Laundry time may have been more exciting than the beach, actually. I’m totally kidding, but it was a highlight. We had met later on the night of Capri and spent the evening sharing wine at this stunning look out over the opposite islands. They’re both very fun loving and easy going and were doing this trip as a celebration of their University graduation. A trip they had talked about since they started high school. I can’t thank them enough for the great times! Tomorrow I will be posting about the people I met up close and personal while in Amalfi! Stay tuned and all my love!